The state government stated that out of the 51 mentioned, 30 women on the list were above the age of 50 and four men were also named on the list. Therefore, the 34 names have now been removed. 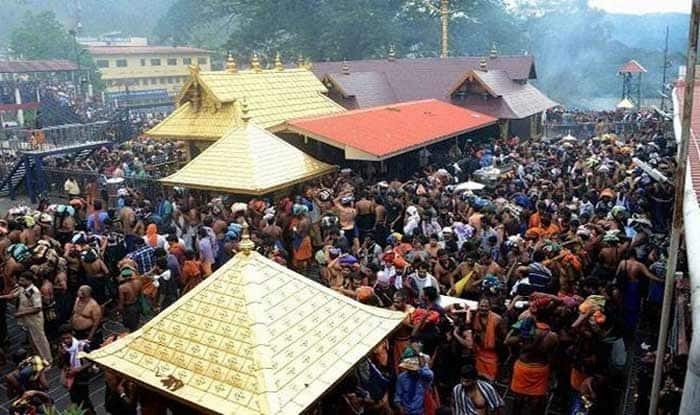 Thiruvananthapuram: The Kerala government on Friday revised the list of menstruating women who had entered the Lord Ayyappa shrine. Earlier, the Communist Party of India- Marxist CPI(M)-led LDF government had submitted an affidavit in the apex court stating that 51 women of menstruating age had entered the temple. Though as per reports, only 17 women had entered the hill-top shrine. A panel headed by Chief Secretary Tom Jose revised the list and brought down the number to 17, stated a report in Manorama. The state government stated that out of the 51 mentioned, 30 women on the list were above the age of 50 and four men were also named on the list. Therefore, those 34 names have now been removed. The revision came after the first list drew criticism following reports that several women in the list were above 50 and there were men too who had been named. The panel that made the revision in the number of women entering the temple stated that the error took place because of haste. It has submitted in the court that it will take a year to organise additional facilities at Sabarimala once young women start undertaking the pilgrimage. The panel, which included additional chief secretary (home) and state police chief, submitted the report in response to petitions filed by Reshma Nishant and other young women who had attempted to visit Sabarimala but were forced to return because of protests. In its report, the panel also talked about how facilities atop the hill shrine need to be increased. “More primary facilities and drinking water need to be made available as young women also join the pilgrimage. Additional police security is also needed,” the panel said in its report. On January 23, the Supreme Court has said that it will decide a fresh date for hearing review petitions challenging its judgment on the contentious Sabarimala issue that allowed the entry of women of menstruating age. The apex court said that it would decide a date after consulting Justice Indu Malhotra, who is on medical leave until January 30. The review petitions are likely to be heard by a five-judge bench comprising the CJI and Justices RF Nariman, AM Khanwilkar, DY Chandrachud and Indu Malhotra.